The place I work for is cutting down on the amount of plastic plates and cutlery they provide (pardon the pun). 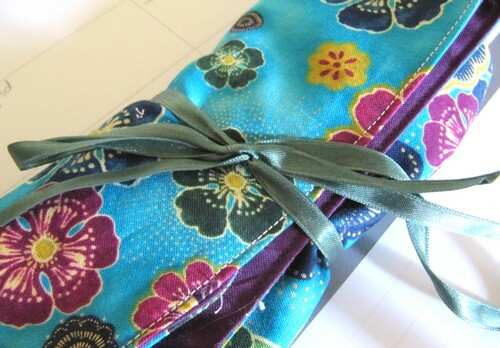 It was recently on of my very good friend’s birthdays and because she just happens to also work at the afore mentioned workplace what better present that a cutlery roll so she can bring whatever lunch she likes and not worry about the child sized plastic cutlery. 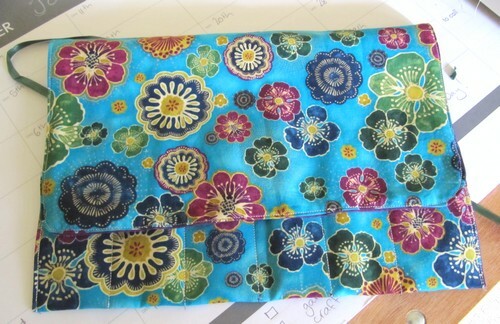 It was very easy to make – no pattern required- and is a good stash buster for all those fat quarters lying around. I bought an extra set of cutlery to make myself one and when I do I’ll write up a tutorial. .-= Jen´s last entry.. =-. 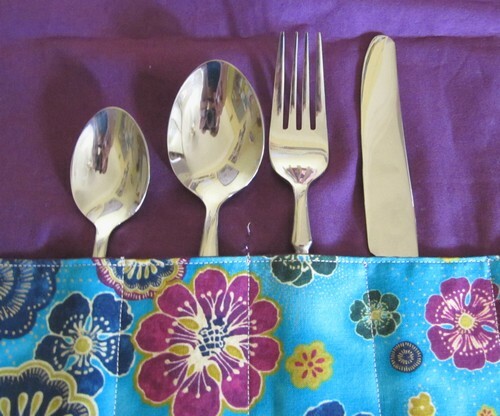 Love the cutlery roll! Please do a tutorial! Thanks! Coincidentally I am doing a tutorial for one I’m making now! It’ll be a little different to this one (better I’m hoping!). Did you end up writing a tutorial for this?